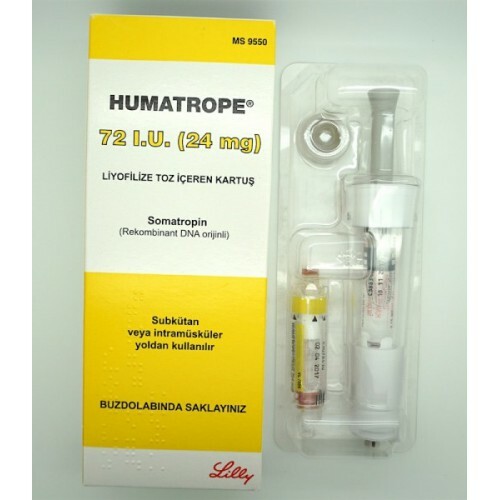 Human Growth Hormone (HGH), is a hormone that is produced in the human body and excreted into the blood stream by the somatotrope cells of the anterior pituitary gland. It is a polypeptide protein that is composed of 191 amino acids. In the past growth HGH was extracted from human pituitary glands. HGH is now produced by recombinant DNA technology, and prescribed for many reasons. GH therapy has been a focus of social and ethical controversies for 50 years. 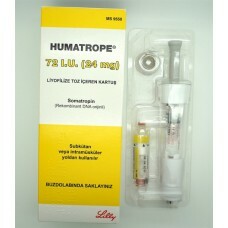 The synthetic version of Human Growth Hormone is named Somatropin (STH) and is exactly identical to human body's own GH. Once it is released, HGH has many functions in the human body. It stimulates the body cells to increase both in size, as well as undergo more rapid cell division than usual. It also enhances the movement of amino acids through cell membranes and also increases the rate at which these cells convert these molecules into proteins. This has a huge anabolic (muscle building) effect in the human body. HGH also has the effect to cause cells to decrease their normal rate at which they use carbohydrates, and at the same time increase the rate at which they use fats. Fat loss and lean mass increases with HGH have been found at a dose as low as . 0.028 iu/kg/daily for 24 weeks. Many athletes who begin using HGH have reached a dead end with their use of anabolics and need to push through that wall. Very good for that purpose is the synergistic combination of using HGH along with anabolic steroids, IGF, insulin and T3 (thyroid medication).The reason is that when these hormones are used together, they produce a large amount of synergy effects. The insulin is able to push nutrients into the muscles, the thyroid hormone increases the fatburning capability, the IGF effects muscle growth as well as helping to grow new cartilage (thus preventing injury), and the anabolic steroids as testosterone, specifically (in addition to being anabolic) increase IGF-1 in the muscle tissue and increase the body´s ability to use it. Also an increased amount of IGF usually tells the body to stop producing HGH, but testosterone actually blunts this part of the negative feedback loop. And the addition of an aromatase inhibitor will also stop conversion of testosterone into estrogen, as estrogen reduces IGF levels. In this way IGF, Testosterone (and of course other steroids), Insulin, thyroid meds, and HGH will all combine to produce a very effective fat-burning and muscle building cycle. Also HGH is undetectable on any sort of currently used drug-screening tests. HGH, Insulin,Thyroid meds and IGF can therefore also be used pretty safely by those who may be subject to drug screening tests, or as a non-HPTA suppressive "bridge" between cycles.